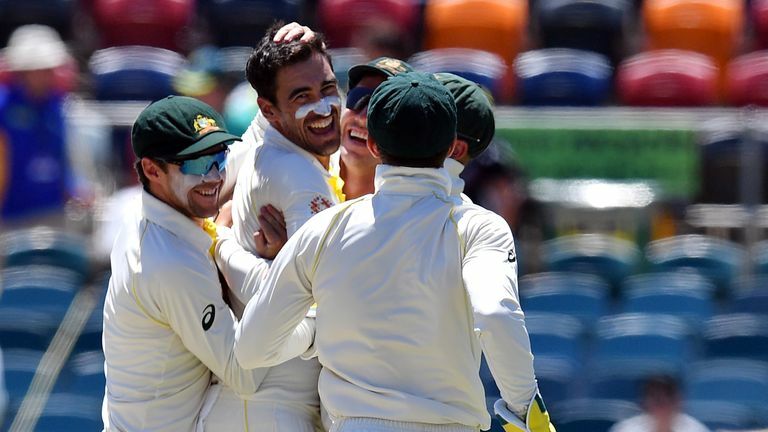 The Australian cricketer is now serving a 12-month suspension punishment for his role in the massive ball-tampering scandal during a Test series against South Africa in March, last year. Australian cricketer Steve Smith's comeback from his year-long suspension for ball tampering could get extended due to the shoulder surgery he underwent last month. Smith had surgery on his elbow last month which will require his right arm be in a brace for at least six weeks, which has cast doubts over his availability once his ban ends on March 29. "The intent is that he will play in the IPL (Indian Premier League) and then the World Cup and then the Ashes". "I think those two have got plenty of runs in the bank if you like", Paine said when asked if they could slot straight back in. We're talking about two great players, we're not talking about two really good players. We'll have to wait and see, ' said Langer. It's all part of the management. Justin Langer had stated in a press-conference after Australia's win over Sri Lanka in Canberra that it would be "crazy" not to pick Smith and Warner for the World Cup as they were "great players". "They'll find opportunities. We'll find opportunities, but I can't say anything else", he added. It is understood, however, that only Warner stands in line to play the final two games in the Middle East (after his ban ends) with Smith's injury likely to keep him on the sidelines for longer. Australia face a hectic period of cricket with 12 worldwide games [10 ODIs + 2 T20s] heading into the World Cup warm-ups, but Langer reckoned that it was an unprecedented situation that the players and the management would simply have to find a way to deal with. He looks set to be part of the ODI series squad against Pakistan in UAE immediately after his ban ends. Cricket Australia (CA) wants to ensure that he is fully fit for the Ashes series, which starts on August 1.